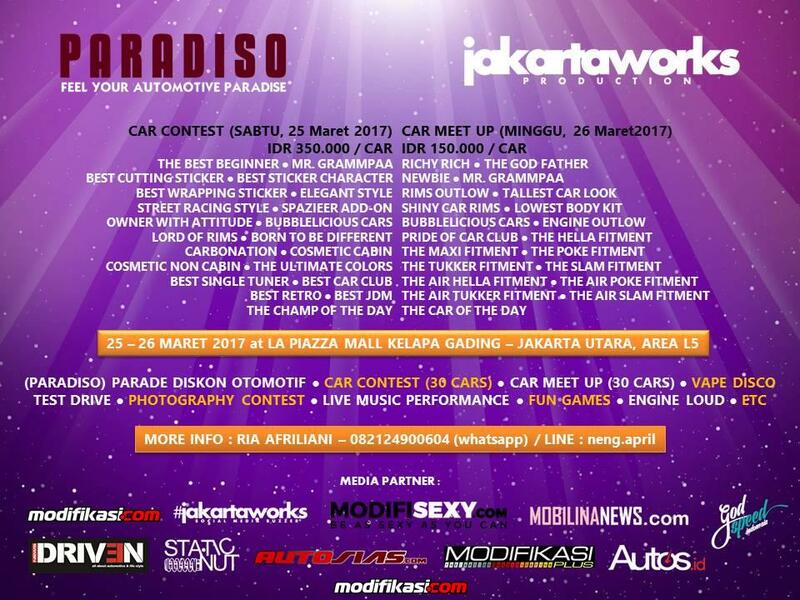 Parade Diskon Otomotif - Car Contest - Car Meet Up - Vape Disco - Photography Contest - Live Music Performance - Fun Games - Engine Loud - Test Drive - Etc. ada apanih tabloid Otomotif ? All times are GMT +7. The time now is 20:37.